J Med Internet Res. 2015 Jun 4;17(6):e137. doi: 10.2196/jmir.4381. A critical problem for patients with chronic conditions who see multiple health care providers is incomplete or inaccurate information, which can contribute to lack of care coordination, low quality of care, and medical errors. As part of a larger project on applications of consumer health information technology (HIT) and barriers to its use, we conducted a semistructured interview study with patients with multiple chronic conditions (MCC) with the objective of exploring their role in managing their personal health information. Semistructured interviews were conducted with patients and providers. Patients were eligible if they had multiple chronic conditions and were in regular care with one of two medical organizations in New York City; health care providers were eligible if they had experience caring for patients with multiple chronic conditions. Analysis was conducted from a grounded theory perspective, and recruitment was concluded when saturation was achieved. A total of 22 patients and 7 providers were interviewed; patients had an average of 3.5 (SD 1.5) chronic conditions and reported having regular relationships with an average of 5 providers. Four major themes arose: (1) Responsibility for managing medical information: some patients perceived information management and sharing as the responsibility of health care providers; others—particularly those who had had bad experiences in the past—took primary responsibility for information sharing; (2) What information should be shared: although privacy concerns did influence some patients’ perceptions of sharing of medical data, decisions about what to share were also heavily influenced by their understanding of health and disease and by the degree to which they understood the health care system; (3) Methods and tools varied: those patients who did take an active role in managing their records used a variety of electronic tools, paper tools, and memory; and (4) Information management as invisible work: managing transfers of medical information to solve problems was a tremendous amount of work that was largely unrecognized by the medical establishment. We conclude that personal health information management should be recognized as an additional burden that MCC places upon patients. Effective structural solutions for information sharing, whether institutional ones such as care management or technological ones such as electronic health information exchange, are likely not only to improve the quality of information shared but reduce the burden on patients already weighed down by MCC. 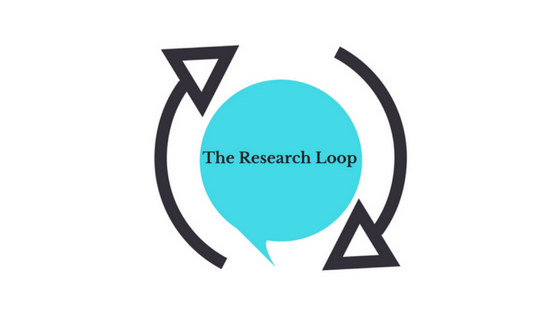 Read more about The Research Loop! Explore our resources with tips on how to evaluate research articles. Learn about the benefits of giving feedback. See feedback tips and guidelines.